Beloved, I wish above all things that thou mayest prosper and be in health, even as thy soul prospereth. For anyone first reading the Health and Nutrition Update, please read this first: Your Health. Also, please go to God’s Health System and subscribe to receive the updates. Always remember that you are in charge of your health and not the doctors. 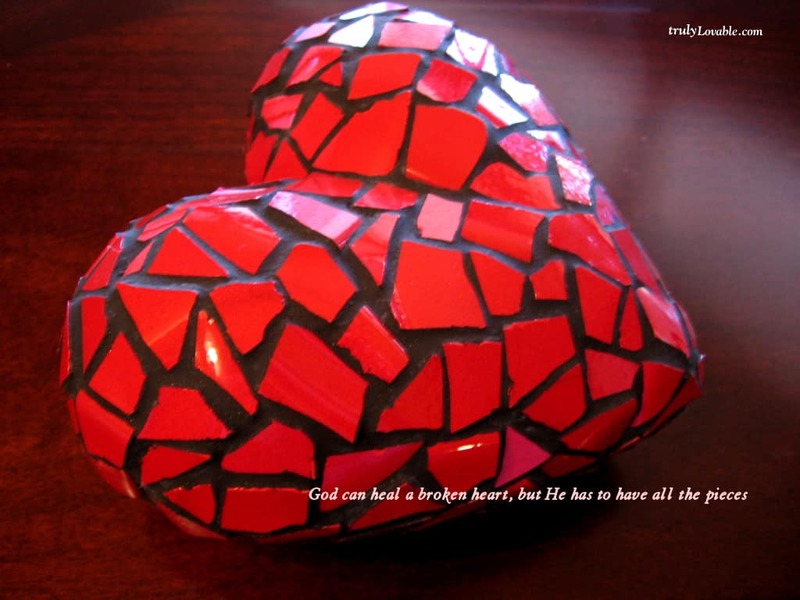 Do not put your life in their hands without first seeking God and His health system. The goal of this blog now is to build up your health and especially the immune system to withstand the coming pestilences that are now rampant in America and the world. God gave the knowledge to prepare for pestilences, so take advantage of this information. The focus is posting articles with great information that can immediately help your health and quality of life. God bless you. 5 Reasons You Need To Eat More Fermented Foods This is a great article, and worth reading to give you an idea of the incredible benefits of eating fermented foods that you can make yourself. Check our past posts for other information, such as the benefits of sauerkraut, and easy ways to ferment all types of foods, like berries. “Slowly but surely more traditional methods of “health care” are making a comeback, and it couldn’t have come at a better time. People are plugging back into the idea that food is the way to remedy a variety of health conditions, not pharmaceuticals, and this has resulted in the introduction of old fashioned food preparation methods like fermenting. This has been a boon to many looking to revitalize their health, and primarily for these 5 reasons. Supplement companies have been on the probiotic bandwagon, mainly in the form of capsules, and while there are some decent sources on the market most absolutely pale in comparison to fermented foods. When you eat RAW, unpasteurized fermented foods, you ingest a multitude of living enzymes that are ready to go to work to break down carbohydrates, fats, and protein. This eases the load on the pancreas and other digestive organs, and provides much needed “material” for the hundreds of enzymatic processes in all parts of the body that keeps us alive and well. 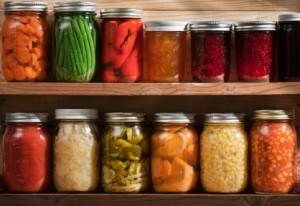 Fermented foods are essentially pre-digested, which really means the food has already started to break down which leaves less strain on your digestive process to unlock the nutrients therein, and avoid toxins left behind due to poor digestive process that can’t complete this necessary process effectively. In the case of sauerkraut, these unlocked nutrients ready for easy absorption include (but are not limited to) vitamins B1, B6, B9, C, K, and manganese, calcium, potassium, magnesium, phosphorus, and iron. With all this probiotic and enzymatic power as well as synergistic nutrients, digestion typically improves with a consistent dosage of at least a few ounces a day. “Eating lots of fruits and vegetables rich in flavonoid molecules might help adults minimize weight gain as they age, a recent study suggests. Most plants contain different flavonoids in varying concentrations. Some scientists believe these naturally occurring compounds have antioxidant and anti-inflammatory properties that could help explain some of the health benefits associated with diets rich in fruits and vegetables. 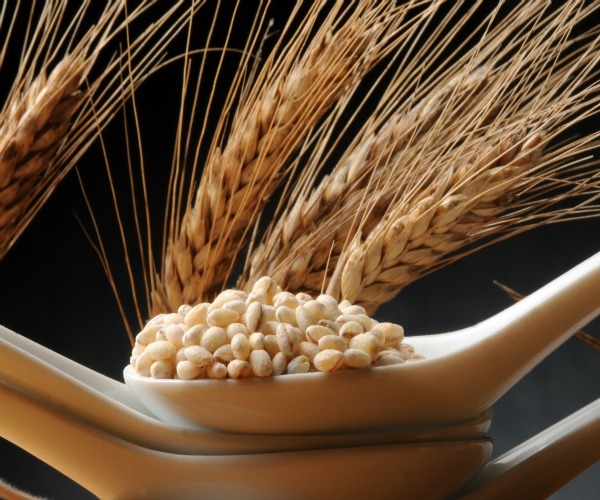 “Eating barley helps people feel fuller longer, as well as help prevent diabetes and cardiovascular disease, according to a new study. According to Swedish researchers, the cereal grain barley can rapidly improve people’s health because of a special mixture of dietary fibers the grain contains. The study was conducted with healthy middle-aged people who were asked to eat bread largely made out of barley kernels (up to 85 percent) for three days — at breakfast, lunch and dinner. Approximately 11-14 hours after their final meal of the day participants were examined for risk indicators of diabetes and cardiovascular disease. “A combination of garlic, apple cider vinegar and honey is a tonic whose health benefits have been proven through research. Each of the individual ingredients possesses curative properties. 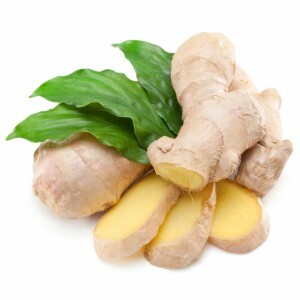 Taken together, these three ingredients comprise a powerful treatment for many ills. Swirl all the ingredients together in a blender for 60-90 seconds, until they are well combined. Store the recipe in a jar in the refrigerator. Use it within five days. “Though dates might be fairly new to our culture, it’s worth becoming familiar with them because just a handful of dates a day provides the human body with immense health benefits, as they help calm down inflammation, digest cholesterol and glucose, all while detoxifying the entire system. Dates contain a high amount of magnesium, a mineral which is quite rare in the average diet, but which is crucial to our immune system. 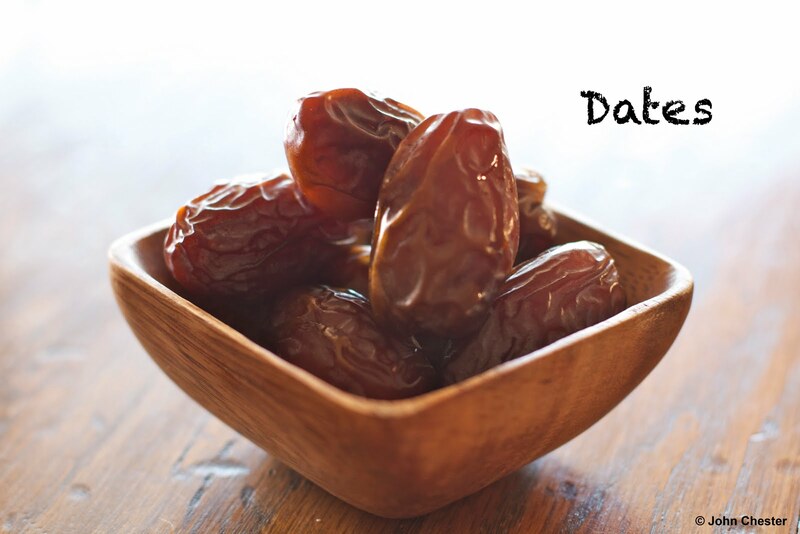 When you include dates in your diet, you effectively reduce your risk of developing cardiovascular diseases, arthritis and even Alzheimer’s. If this isn’t enough, this Middle-Eastern miracle also contains potassium, another vital mineral that has been proven beyond doubt to reduce stroke risk and promote brain function. If you eat just 100 grams, or roughly 3 and a half ounces of dates, you’re offering your body one third of its necessary daily intake of fiber. Why is fiber important? Well, for a healthy organism, fiber is indispensable. Especially in a diet that is rich in cholesterol, fat and sugar, fiber is a veritable life-saver, because it slows the absorption of sugar and cholesterol in the bloodstream. Are Egg Yolks Good or Bad? “Egg white omelets and other yolk-free recipes have become synonymous with “healthy” to many. But if you toss out your egg yolks, you’re also tossing out some of the most nutritious parts of the egg. For instance, egg yolks (but not whites) contain vitamins A, D, E and K along with omega-3 fats. Compared to the whites, egg yolks also contain more beneficial folate and vitamin B12. The yolks also contain far more of the nutrient choline than the whites, and all of the antioxidants lutein and zeaxanthin. 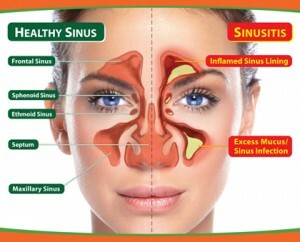 Why do 38 million Americans have chronic sinus infections? This article also lists natural treatments such as hydrotherapy (drinking lots of water to liquefy mucus and inhaling steam or using ice) and aromatherapy. It doesn’t mention other useful aids such as larger doses of vitamin C or the fact that some infections can be caused by fungus rather than bacteria. 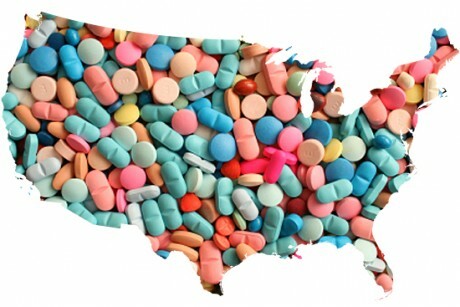 For those cases, antibiotics can cause the condition to become chronic. If you constantly find yourself on one round of antibiotics after another, check to make certain that you don’t have a fungal rather than a bacterial infection. “According to authors Debra Fulghum Bruce and Murray Grossan, M.D., chronic sinus infections aren’t exactly natural, but they sure are common. 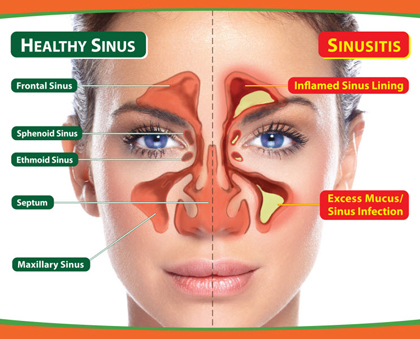 An estimated 38 million Americans suffer from sinusitis or chronic inflammation of the facial cavities, including around the nose, cheeks and eyes. The Sinus Cure: 7 Simple Steps to Relieve Sinusitis and Other Ear, Nose, and Throat Conditions, explores alternative and complementary methods for healing and alleviating sinus pain. These include exercises…as well as nutritional supplements. The book also identifies foods that trigger and reduce sinus problems. Besides suffering from headache pain and pressure, postnasal drip, and congestion, people experience other problems with sinus disease. You may have achiness and fatigue, fever, ear pain, or a throat so swollen that eating or breathing is difficult. Or your teeth may hurt, making you think you have dental problems. “Inflammation was proven time and time again to be one of the fundamental processes that accelerate illnesses or even cause them to begin with. In basic mechanical interactions, when our body perceives a threat inside of it, it triggers inflammation as a defense mechanism. Together with free radicals, inflammation kills cells in our body. But it doesn’t stop at the bad guys. In fact, inflammation is also responsible for extensive friendly-fire at a cellular level. How to Turn Your Pet Into a Therapy Dog For anyone who loves dogs and wants to help others in their community, training your dog as a therapy dog is a rewarding endeavor. While there are classes available, I was able to train my Zoe enough to pass the necessary tests to be licensed without any classes, because she was naturally obedient. We then joined a local group with dogs which made regular visits together. The main qualification is a friendly, loving and well-trained, obedient animal. Zoe visited nursing homes where residents often gathered in anticipation an hour or more before her scheduled visit. She also sat listening while reading-impaired children at the library read stories to her for practice. She loved the visits as much or more than the residents and kids did, and worked until shortly before her death. “Want to turn your dog into a therapy dog? If you think your pet has what it takes to be a service dog for people with chronic diseases, a variety of therapy pet training programs can help get you started. Training typically involves dogs and their owners, in groups of four to eight pairs, who learn to give and receive basic commands (stay, sit, lie down). Therapeutic dogs can be any size or breed, but must be housebroken, nonaggressive, and not fearful of strangers, loud noises, wheelchairs, or elevators. A good temperament is also critical. Trainers explain that a dog that barks incessantly, bites, or jumps on people do not have what it takes to be therapeutic animals. • Research has shown that after just 20 minutes with a therapy dog, patients’ levels of stress hormones drop and pain-reducing endorphins rise. 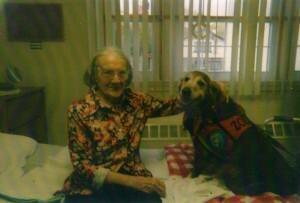 • In elderly patients with dementia, depression declines after they interact with a therapy animal. • Researchers at the University of Southern Maine found that therapy dog visits can calm agitation in patients with severe dementia. • A University of California-Los Angeles study of therapy dog visits among heart disease patients found a significant reduction in anxiety and blood pressure of those who spent just 12 minutes with a visiting animal. In these and other initiatives, specialists say therapy dogs are often better than any medicine. 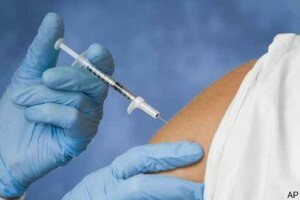 Government guidelines recommend pneumonia vaccines for everyone over 50, despite the fact they don’t work! “In addition, a 2013 meta-analysis found there is no consistent evidence that the PPSV23 vaccine is associated with reduced rates of all-cause pneumonia or all-cause mortality.” In 2011, the FDA approved the PCV13 vaccine for adults aged 50 and older. “These recommendations were based, somewhat, on a yet-to-be published trial — CAPITA,” says Dr. Brownstein. “CAPITA was funded by Pfizer, the maker of PCV13. 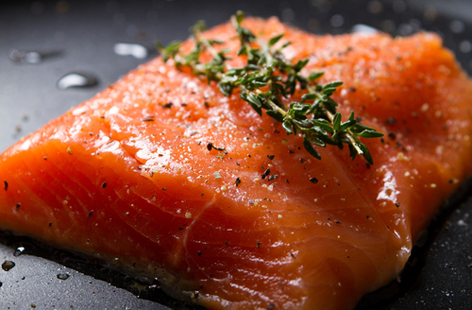 Young salmon aren’t given the choice to “Just say no!” Neither are you if you eat them. “Disturbing new research has indicated that young salmon found in Puget Sound tested positive for more than 80 different drugs, including cocaine, antidepressants and dozens of other medications used by humans. When researchers tested the water at and near sewage treatment plants in the estuaries of Puget Sound near Seattle, Washington, they discovered high levels of drugs and personal care products – at some of the highest concentrations found anywhere in the nation. “Even low levels of certain types of chemical pesticides can cause brain damage linked to cognitive impairments, new research shows. The findings, published in the journal Environmental International, indicate individuals subjected to even low doses of organochlorine pesticides over time are more likely to be diagnosed with cognitive impairment than those who are not exposed to the chemicals. Organochlorine pesticides (OCPs) — including DDT — were banned in developed countries decades ago, but still remain in the human body because they accumulate through the food chain. High levels of the chemicals still be found in a majority of the population of Sweden, as well as in most other industrial countries. Your physical health is very important, but of even greater importance is your spiritual health. Man suffers from a fatal spiritual disease called sin, which always leads to death. Romans 6:23 For the wages of sin is death; but the gift of God is eternal life through Jesus Christ our Lord. This is why Jesus Christ said we need the Spirit of God who gives us eternal life with Him. We need to be “born again” with a new spirit that is not subject to sin and death. Right now, through repentance of the spiritual disease called sin, you can come to Jesus Christ, the Great Physician, for healing and assurance of eternal life. Mark 2:17 When Jesus heard it, he saith unto them, They that are whole have no need of the physician, but they that are sick: I came not to call the righteous, but sinners to repentance. Revelation 21:4 And God shall wipe away all tears from their eyes; and there shall be no more death, neither sorrow, nor crying, neither shall there be any more pain: for the former things are passed away. God's Health System © 2019. All Rights Reserved.